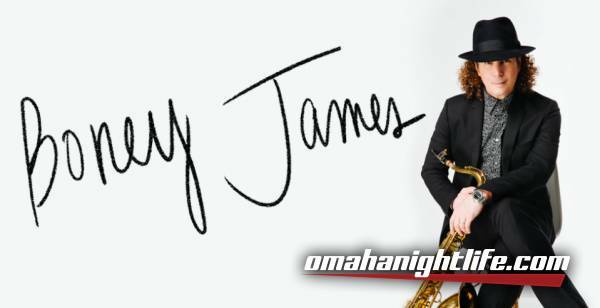 Boney James delivers a night of smooth and soulful jazz! The four-time Grammy® nominee is a powerhouse saxophonist and skilled songwriter and record producer. The New York Time raves, "James performs with panache. His arc as a soloist is emotional...he can paint a scene." His latest album, "Honestly," hit No. 1 on the Billboard Jazz Albums Chart with a sound that blends jazz with R&B and pop. He's racked up sales of more than 3 million records, four RIAA gold albums, a Soul Train Award, nominations for two NAACP Image Awards and 10 CDs atop Billboard's Contemporary Jazz Albums chart. Billboard named James one of the Top 3 Contemporary Jazz Artists of The Decade along with Kenny G and Norah Jones.